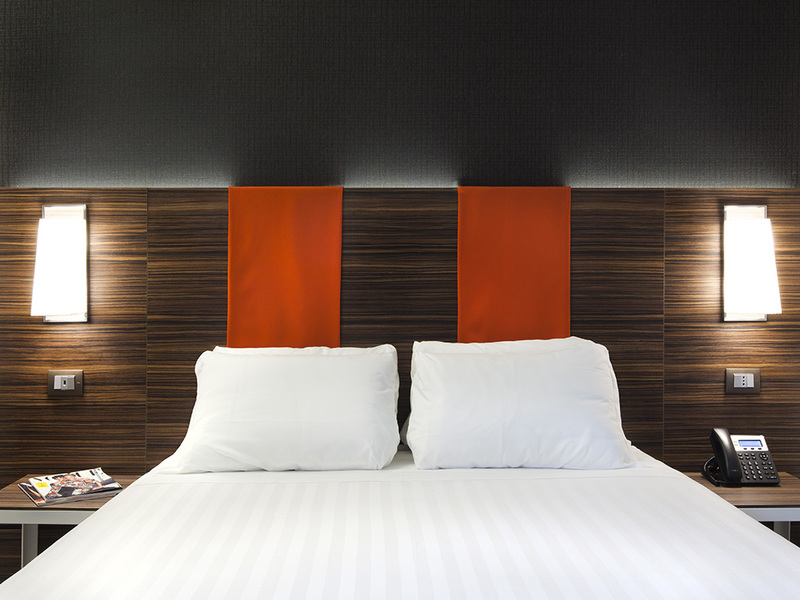 Our Cosy rooms are perfect for those who find themselves in the city on their own either for business or for a romantic trip. 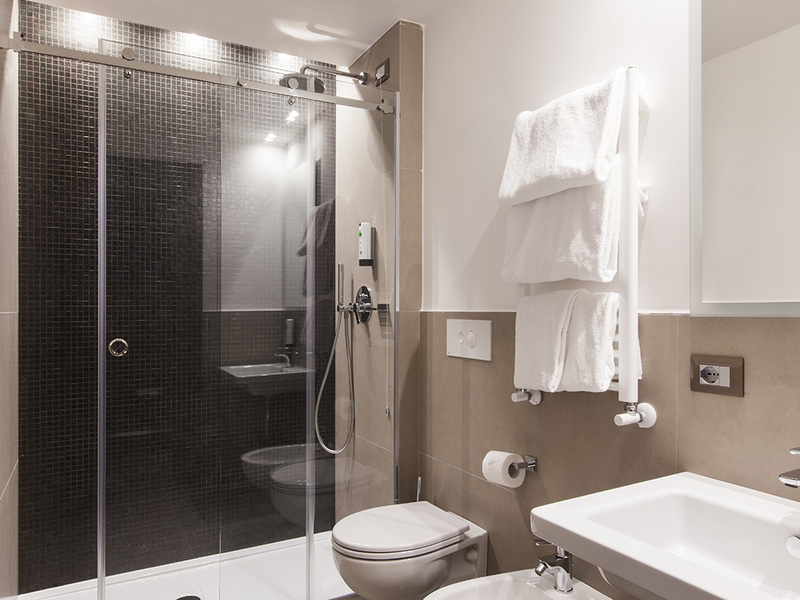 Covering an area of 12 sqm, you can find: air conditioning, satellite TV, mini bar, safe, direct-dial telephone and fast internet connection, private bathroom. 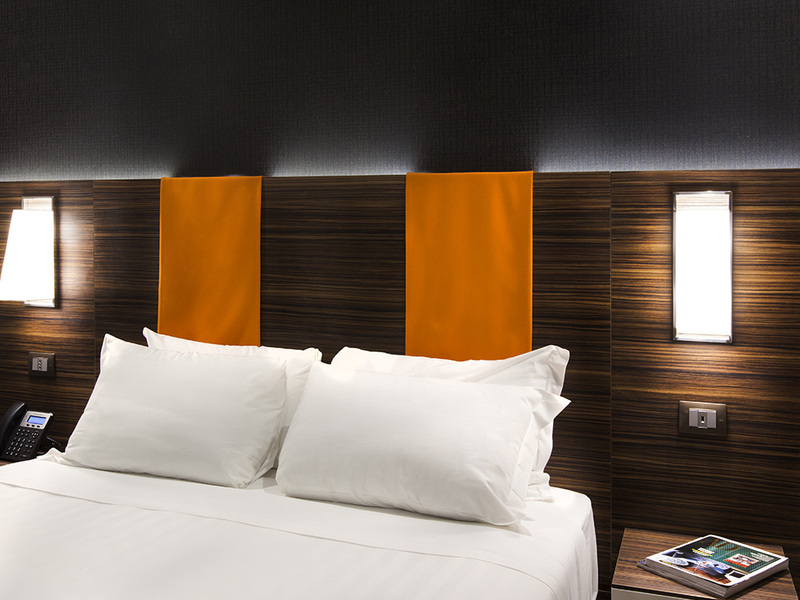 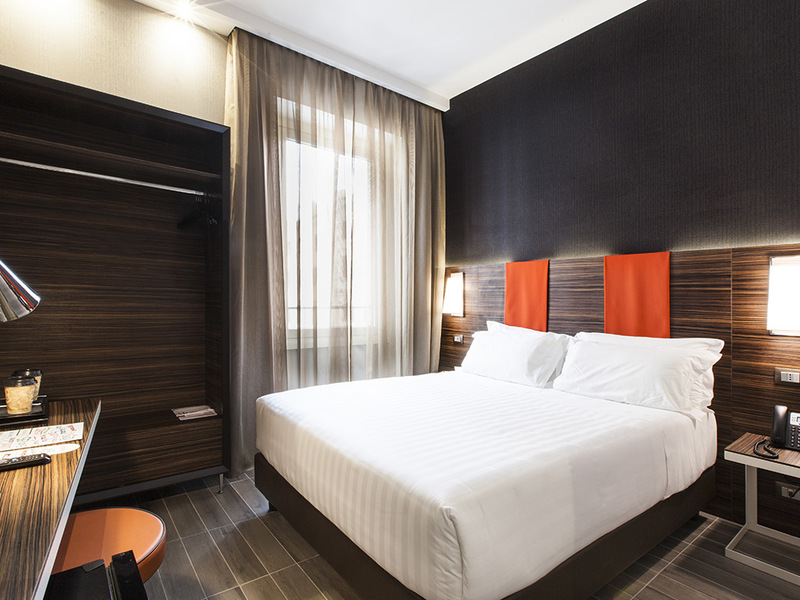 Our Classic rooms are young and offers a design ambience with the very best of modern comforts. 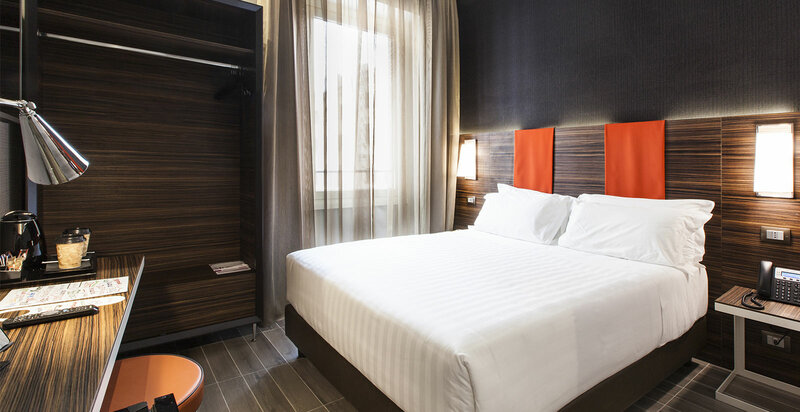 The Classic room covers an area of 15 sqm and you can find: air conditioning, satellite TV, mini bar, safe, direct-dial telephone and fast internet connection, private bathroom. 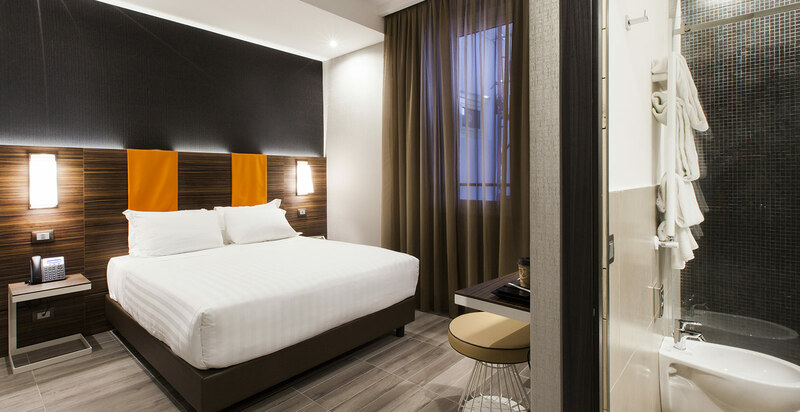 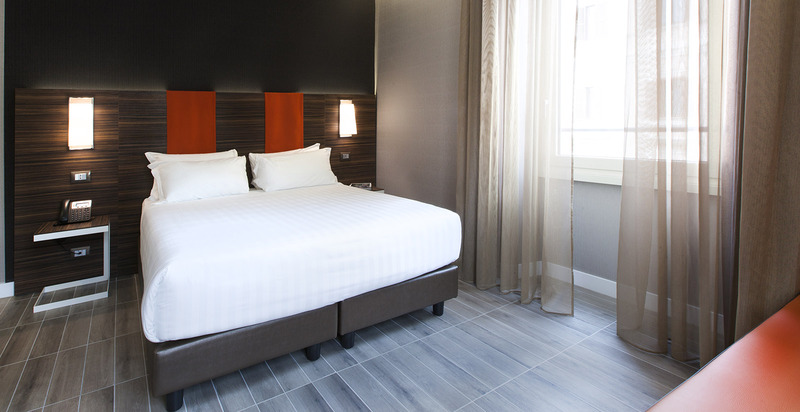 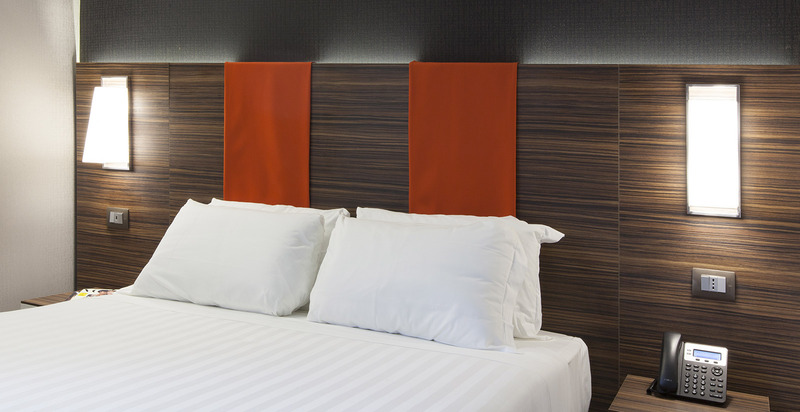 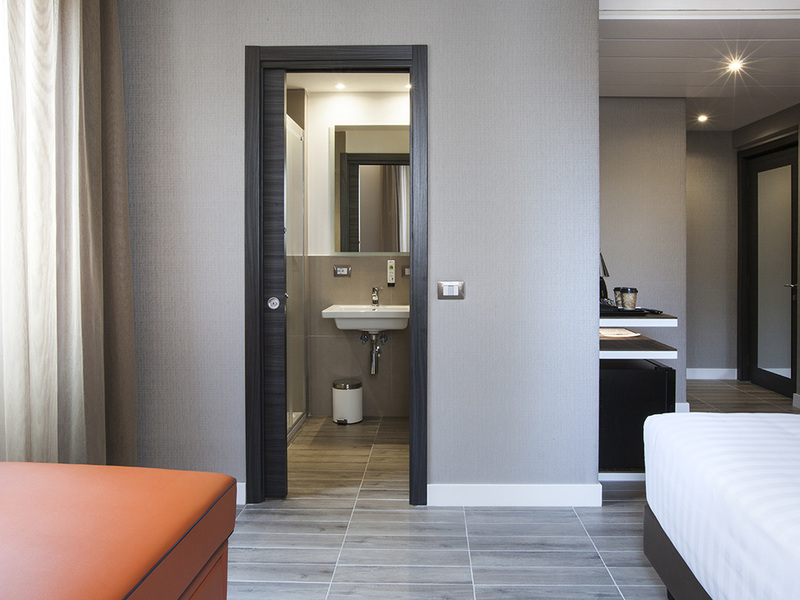 Tiled flooring, minimalist furnishings and the carefully chosen colours and lines all give life to a unique and original stylish atmosphere which is typical in a superior hotel. 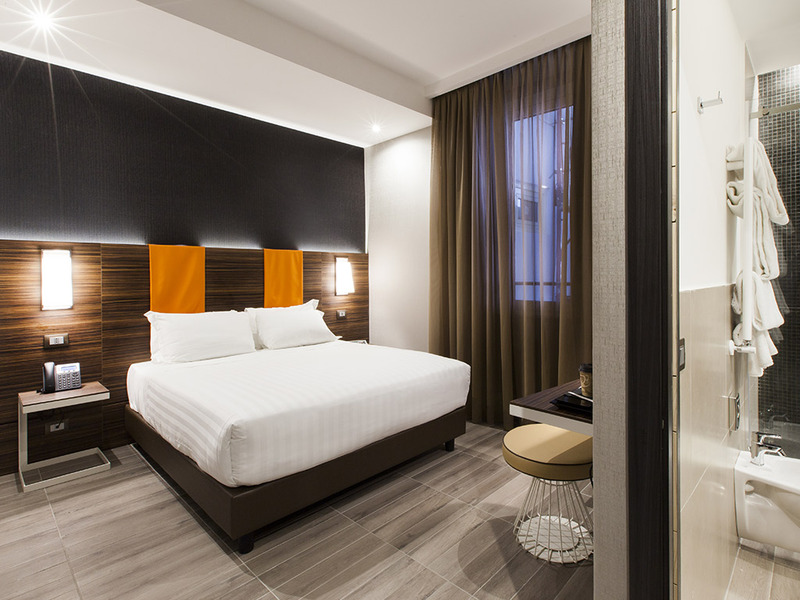 The Superior rooms can accommodate up to 3 people and are characterised by their spaciousness. 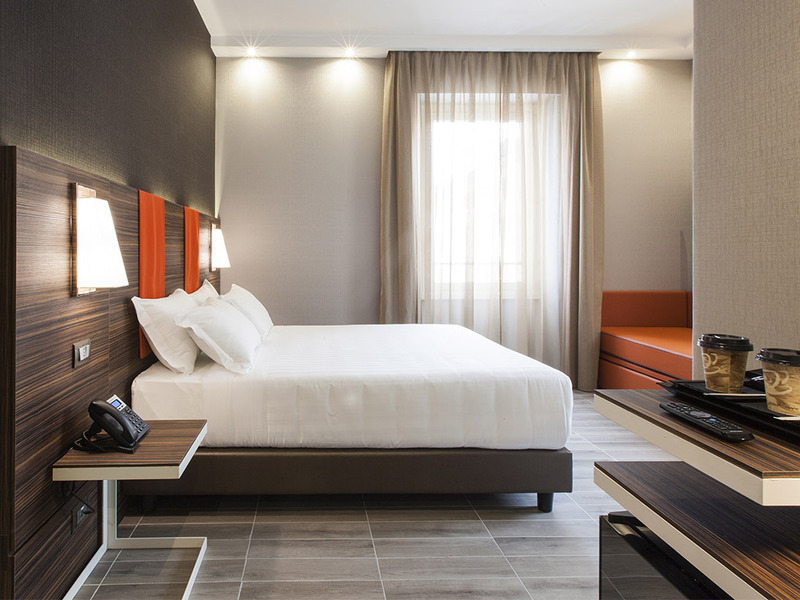 You can find: air conditioning, satellite TV, mini bar, safe, direct-dial telephone and fast internet connection, private bathroom. 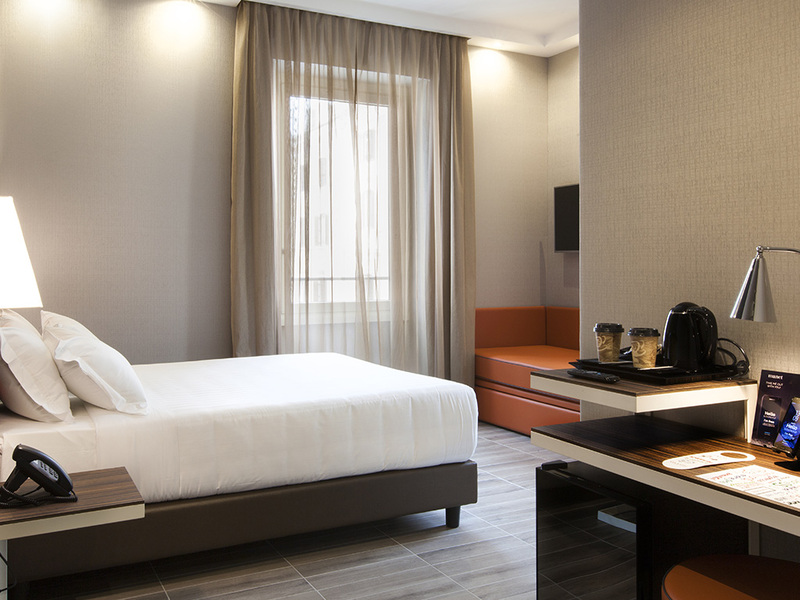 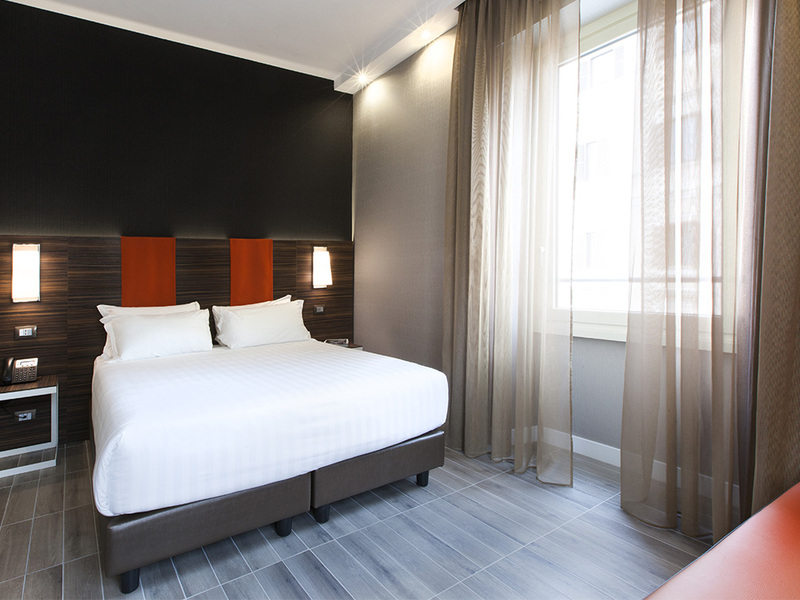 Our Family Rooms are perfect for those who are holidaying in Rome with children or friends. 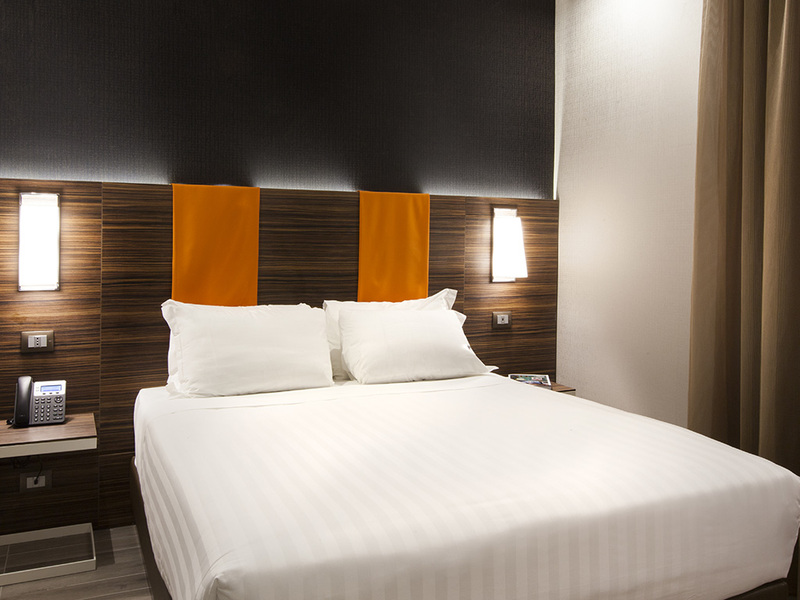 Family Rooms offers the combination of comfort, good location and excellent service. 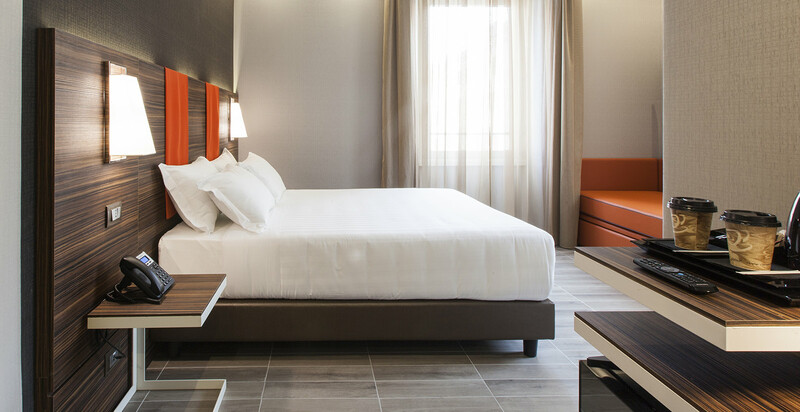 You can find: air conditioning, satellite TV, mini bar, safe, direct-dial telephone and fast internet connection, private bathroom.